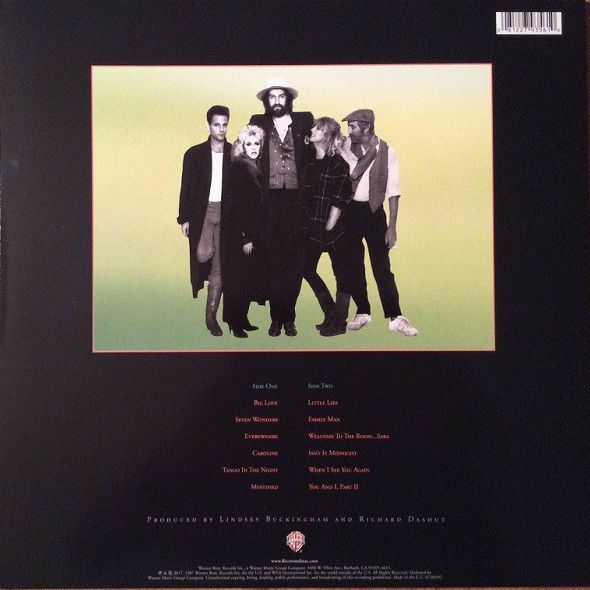 2017 EU reissue on 180g LP=1987's Tango In The Night presents Fleetwood Mac as a hit-making machine, with four Top 20 singles ("Big Love," "Little Lies," "Seven Wonders" and "Everywhere") and more than 15 million copies sold worldwide. This is an album which combines the progressiveness of Tusk with the emotion and cohesiveness of Rumours but which sounds nothing like the computer-programmed pop music of the mid-80s, it is the work of artists using their years of experience as an advantage, not an excuse to stand still. Yet Tango In The Night isn't a showcase for three solo artists - it's the work of a band. The outstanding collection, freshly remastered in 2017 and pressed on 180g vinyl, was the last from that classic five-piece though a recent reunion tour offers hope for future collaboration.